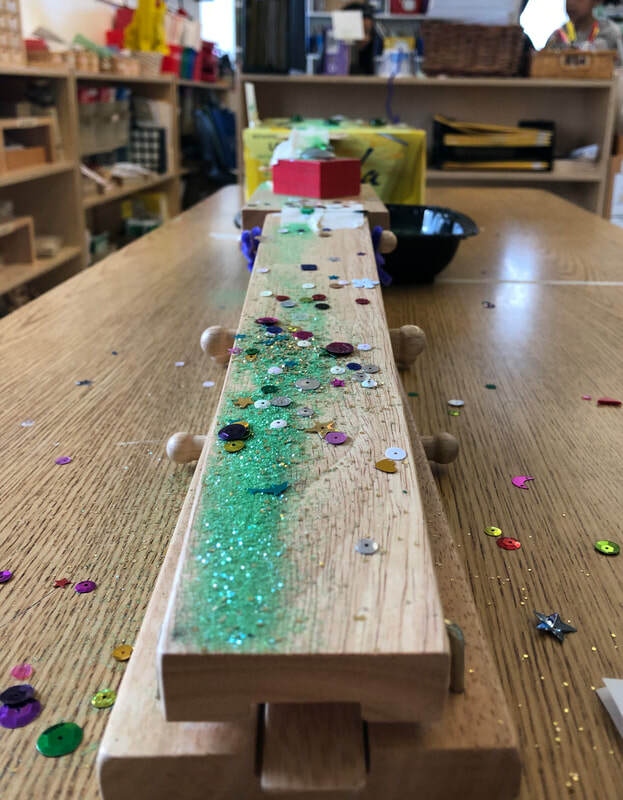 After study of Simple Machines, the students in Grades 1&2 carefully designed and implemented an intentional playground for a potential Leprechaun visitor. This lengthy obstacle course connected across the classroom was built only using recyclable, everyday materials and masking tape. It is well-loved tradition for Room 203 of The Walden School to anticipate a tiny, shenanigans-causing visitor over Saint Patrick's Day Weekend each year. 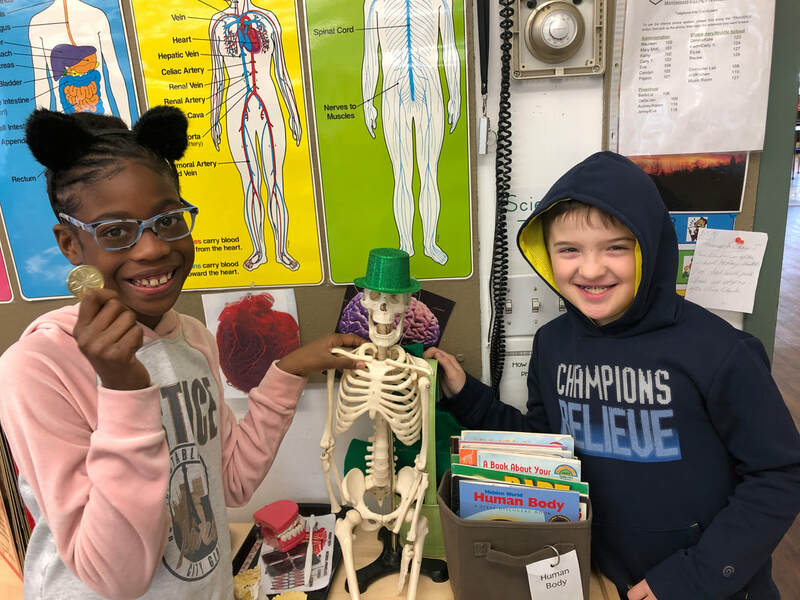 As expected, a Leprechaun named Goldie O'Rainbow came and conquered all that was set out for her throughout the resourceful path the students constructed. 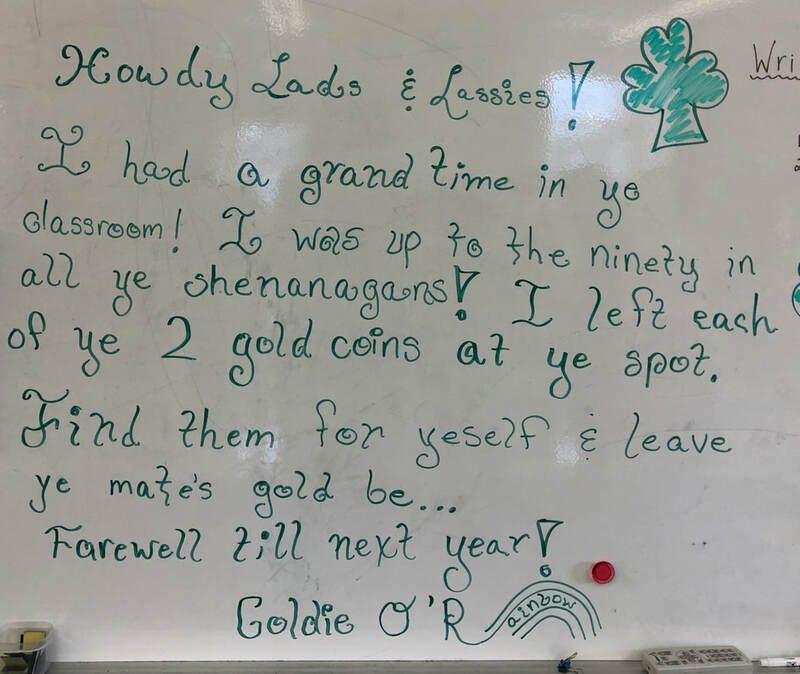 The students even experienced "The Luck of the Irish" in graciously discovering two gold coins left in the Leprechaun's path. 'Till next year, Goldie O'Rainbow! The Chinese New Year on February 5th kicked off The Year of the Pig! 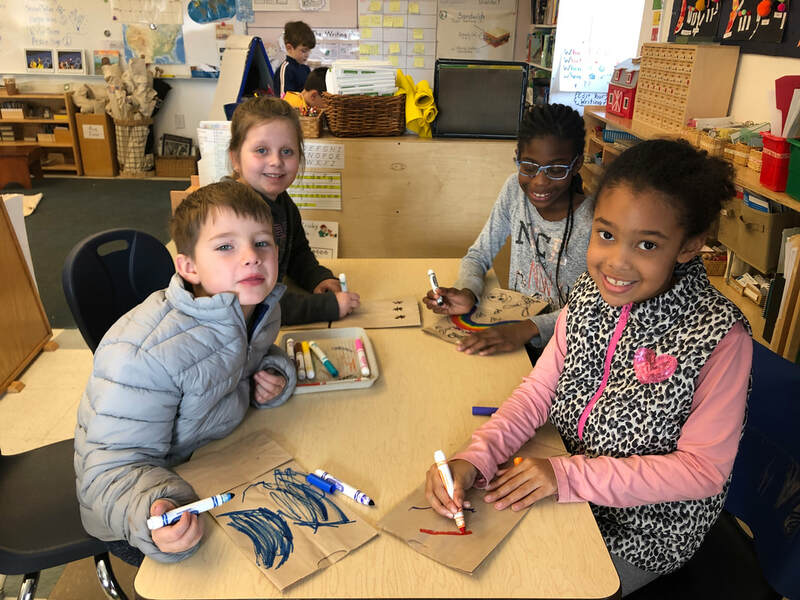 On our Half Day before President's Day Weekend, the Walden Kindergarteners joined us to learn about the legend of the Tangram and to cut & paste their own Tangram Pig with former classmates. We enjoyed wonton noodles and sweet & sour dip to celebrate this unique traditional holiday across many Asian cultures. Gung Hay Fat Choy! 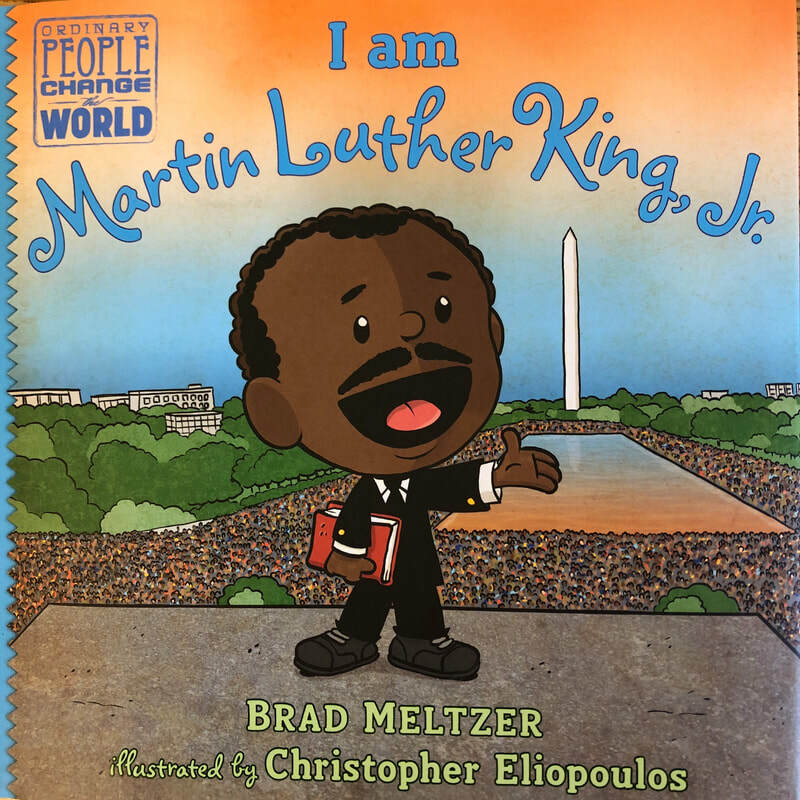 This week, we read about the life of Martin Luther King Jr. and learned about why he is remembered and celebrated to this day. 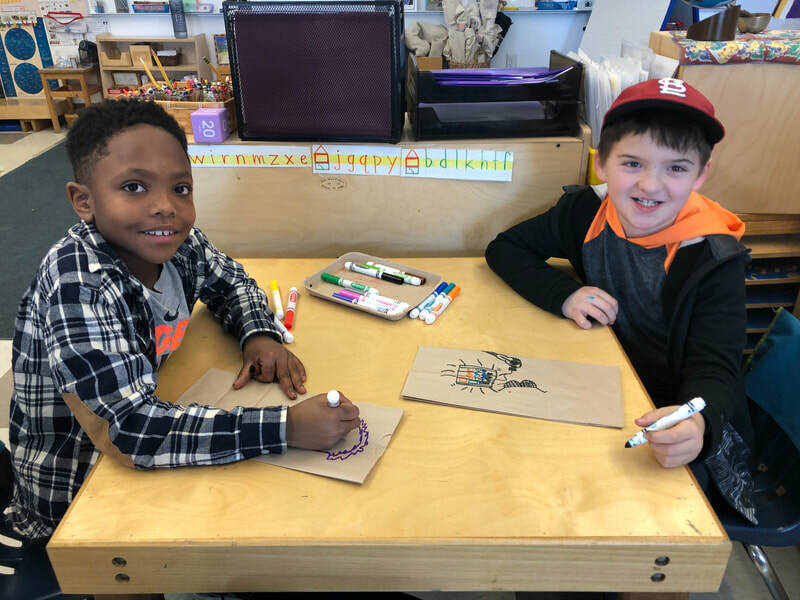 For this year's MLK holiday, The Walden School came together to serve those in need in our community. As a team, Walden put together bagged lunches for City Team in Chester. 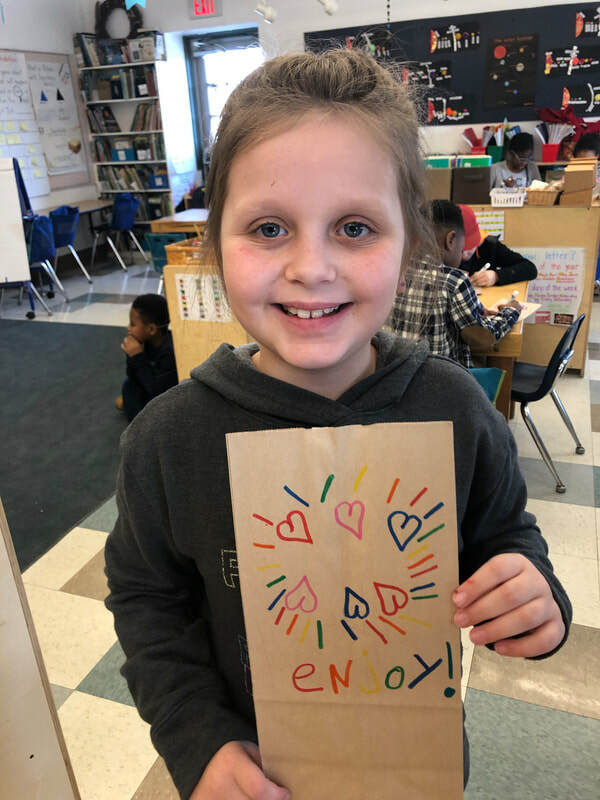 Our 1st and 2nd grade piece of the Walden-wide service project was decorating the brown bags with positive, kind, joyful messages. The bagged lunches will be delivered to City Team on Friday. Character Day Preparation & Performance! 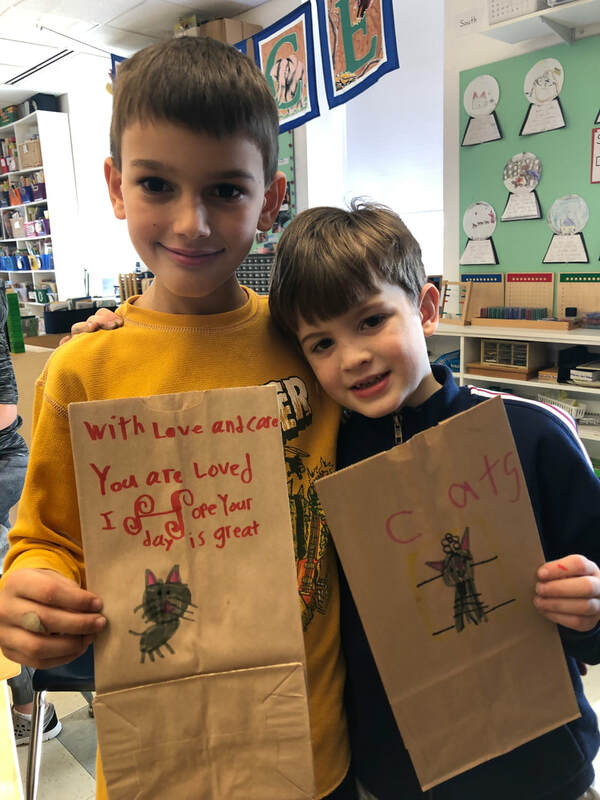 The photos below illustrate the hard work, collaboration and small steps that each student put forth in their small groups for the Character Day Project. 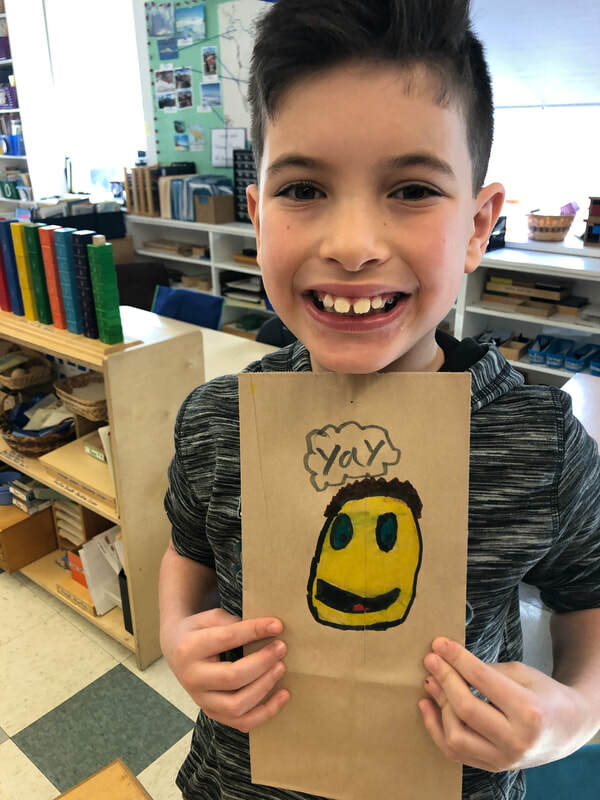 The students worked hard to study the plot of the story, design a setting, to know their characters and to be able to confidently perform a small skit representing the story. Our mental movie muscles are getting stronger! Enjoy! Classroom Caterpillars, Reading with K's, & a visit from Rose Tree Fire Company! So many great things already and we've only been back at it for about 2 weeks! The children are quickly adjusting to classroom life. Work plans have commenced and we are working to develop and establish the independence our classroom so carefully fosters. Take a sneak peek into the work mornings from the pictures below!